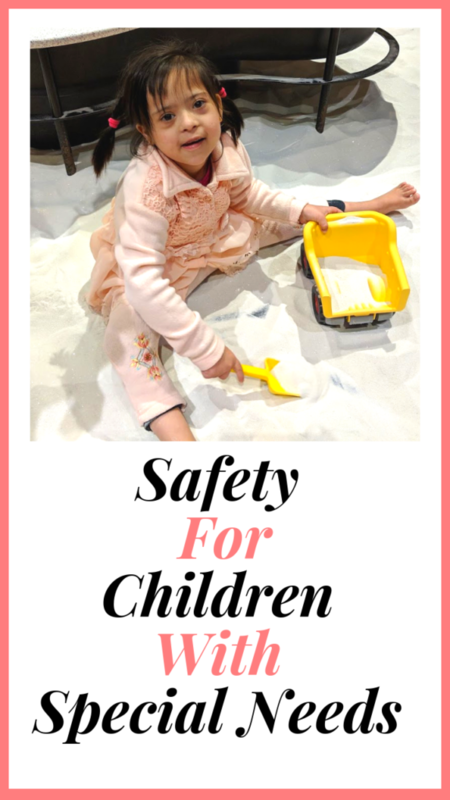 Children with special needs have specific safety requirements pertaining to life. Whether interacting with others, traveling or having a family meal, a child with special needs often can’t be left without precautions taken. As a Diagnostic Medical Sonographer, when I sometimes find the markers for any abnormality or let’s call it future special needs children, I feel a strong relationship with those patients and pray for them that God helps them, as he has chosen them to be very special people. 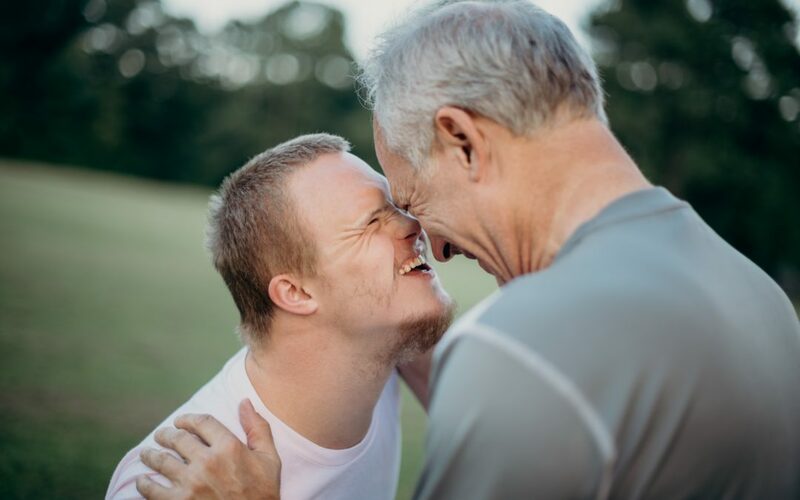 It takes a lot to be a parent of a child with special needs, but the rewards are priceless. What Does Special Needs Mean? In the United States, special needs is a term used in clinical diagnostics. It refers to functional development describing individuals who require assistance for disabilities that may be medical, mental, or psychological. They can also include cleft lips and/or palates, port-wine stains, and missing limbs. The types of special needs vary in severity, and a student with a special need is classified as being a severe case when the students IQ is between 20 and 35. Most children with special needs require additional assistance at school, at home and with many daily tasks. As a trained doctor providing sonograms to pregnant women and a mother of a Down Syndrome daughter, Zola, I feel especially passionate about helping others understand what is required to keep special needs children safe. Genetics control so many aspects of who we become. This is a predisposition to everything from your eye color, to how you digest your food. Your genetic code will also determine if you have a special need condition such as Down Syndrome. Children with this extra chromosome have a range of issues including both mental and physical impairments. Although it can’t be cured, doctors know more about it now than ever. If your child has it, getting the right care early on can make a big difference in helping him/her live a full and meaningful life. Needless to say, there are many things I have learned from having a child with Down Syndrome. Safety for kids with special needs is not that different than your child without special needs. In this series, we are going to talk about the different ways to keep your special needs child safe. My Zoha, who has Down Syndrome is my light and I’ll do everything necessary to keep her safe. Safety is a very big word with a broad meaning. For instance, when we talk about safety, a lot of people just think about the physical aspect of it. That is just one side of it. We are going to learn various types of safety and issues related to it so you can take care of your child with special needs without fear. Before I had Zoha, I never thought of all these concerns in that much depth. The first thing to keep in mind, regardless of what condition your child holds to qualify as a special need child, is that the circumstances are very similar with most of the children. However, as a parent, we all can relate to each other. Although my personal experience is associated with Down Syndrome. I can feel the worry as a parent you go through for a special child. Worry doesn’t do us any favors though; we have to be prepared to deal with any condition that comes our way. Physical safety starts at birth. In fact, let me backtrack, you start preparing for it when your baby is in the womb. 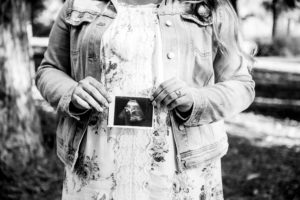 As with Zoha when I found out that I was going to have a child with special needs, I went through several different tests just to ensure that my child was safe. Above all, I met quite a few specialist doctors, so the time of birth would go smoothly with all the proper arrangements. Zoha was born very safe, and there were several doctors in the room to make sure she was safe physically. We were in the NICU for 8 weeks for her surgeries and recovery. As a result of our early research and preparation, everything went very smoothly. Talk to your child’s health care provider about taking classes to be trained for medical emergencies such as a CPR course for choking hazards and breathing difficulties. It is crucial and plays a huge role in the life of your child. Most of the children come home with a G-tube. A lot of Down Syndrome kids have duodenal atresia, and they go under surgery to recover. It takes them long periods of time to recover, sometimes years. I have met several kids around up to age 13 who are still on a G- tube. Simple medical training teaches you how to keep your child infection free. Think of ways and make a safety plan. Also, share the plan with your household members and relatives. Whoever is involved in the care of your child. Remember though, your plan can change with your child’s growing needs. Get ready to accept and make those changes without getting frustrated. Actively supervise your child. Join different groups for learning and sharing with other parents. Be aware of the surroundings. Children with special needs grow at the slower pace as compared to your other children. For example, a 3-year-old child with Down Syndrome behaves like a year-old child. They are slower, but that’s okay! It’s a lot of work, but in the end, it’s very rewarding. God only chose special and highly qualified people to be parents for these children. Hey, be thankful that you are on the list! Keep your house childproof. If your child is crawling or learning to walk, keep your floor free of any hurdles. Put heavy things away. Check all the surfaces. Keep the child locks as needed. Don’t leave the child in a bathroom without the supervision. Keep your bathroom door closed at all times. For older children, make the safety plan accordingly. The big thing is to teach them safe behavior. Right equipment plays a very important role in your child’s life for their physical safety. These are the basic equipment to keep in mind. Most types of equipment are often developed according to the age and size but not for the ability. 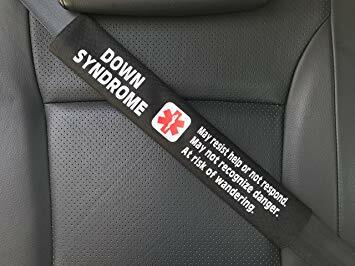 You won’t be able to use the same car seat for a child with Down Syndrome that you use for other children. There are added support and harness systems used for children with Down Syndrome to protect them. Before you go shopping for car seats, talk to your child’s doctor about the options. Keep in mind your child’s physical condition. As in whether he/she has difficulty sitting still or sitting up in addition to your child age, weight, and height. Don’t go with your child’s age. Instead, go by your child’s physical appearance. Our daughter is 6, but due to her Down Syndrome, she looks about her brother’s age who is five. We still use the convertible car seat for her as opposed to the regular booster seat. Strollers are another thing to watch for. Sometimes it’s better to spend a bit of extra money for your child’s safety. Children with Down Syndrome have low muscle tone and they are very floppy. Their muscles are not that strong so we always keep that thing in mind when we go shopping for her. Just do your research on a product for special needs children before you make a purchasing decision. Buy one size smaller stroller so kids can fit into it better. I like “Safety First’s” strollers. They worked the best for us. If your child wears foot braces, make sure you get the correct measurements and keep up with your insurance. The little children can’t tell you if the braces are hurting them or they are not fitting correctly. Healthcare trainers do a heck of a great job, but they are not going to be with your child to watch them all the time. It’s your responsibility to monitor them when they walk. Normally you get those braces when your child already is walking. Notice if your child is limping with the new foot braces. We had no idea about this until Zoha’s physical therapist mentioned this to us. After that, we monitored her closely and found out that her legs are not even. On her next visit with the doctor, we brought that up and finally, they took care of this. Children with Down Syndrome already have an abnormal gait., so it’s very important to watch your child with foot braces. Otherwise, it can hurt them badly. Glasses are another piece of the safety puzzle for children with special needs. Make sure you have their exam with an ophthalmologist instead of an optometrist. These children need a very detailed eye exam and sometimes eye surgeries as well, hence it’s better to establish care with one provider who could do all this by knowing the history of the child’s eye care. Most Down Syndrome children wear eyeglasses, but the glasses are special due to the child’s nasal and ear structure. Kids with Down Syndrome tend to have a flat nose which makes it hard for the frame to sit on it perfectly. Look around and research about that. We use the “Miraflex” frame for Zoha. They are expensive but very good for her age. They sit on her nose and around the ears perfectly. Zoha doesn’t like glasses though. Hearing aids equipment are another very special part of your child’s life and physical safety. They can only perform a better function and follow the prompt if they are able to hear you. Check them if they work properly and your child can hear you. Otherwise, it can really put school-age children behind. Have regular checkups with your child’s ENT doctor. I know, having a child with a special need is not easy, it certainly is overwhelming but you can do it. Think of the joy these kids bring into your life! We say that Zoha is the passport for heaven for us. God just said, “Okay, go ahead and take care of her, and I will grant you heaven”. I can speak about Down Syndrome on behalf of my experience but I am positive that a lot of children with special needs have the same problem my daughter has, which is called sleep apnea. The best solution for sleep apnea is the CPAP machine to keep her airway open at night. Get trained properly. Keep in mind that it’s important for your child’s life. If your child gets better sleep it will improve the overall health and your child will be more alert which is very important for physical safety. Water safety for children with special needs is crucial, specifically if the child has a seizure. You need to get the best life jackets for them. Teach them swimming, but don’t send them swimming alone. Sometimes custom-made jackets are the best in very special cases. Never let them bathe alone. Always stay near them. Regardless of if your child has a seizure or not if they are little, always stay with them. With seizures, make sure your child doesn’t sit under the shower. Instead, use a handheld sprayer. I don’t have personal experience with a wheelchair, but I have seen several children while working in hospitals. Most of the insurances cover the price of the wheelchairs. Make sure that the wheelchair is custom fitted for your child and they can properly sit in it without having difficulty. Learn to operate it and give training to your child as well. All little kids and young kids like to ride a bike. Be careful with children with special needs as some of them have deformed feet. Make sure you train them well or buy special bikes for them. They can physically hurt themselves if they are not trained enough. I hope the above-mentioned tips are helpful for you. Stay tuned, as next week we will talk about toys for children with special needs and how can they help your child’s growth and learning process. Not a topic I have heard much posted about in main stream media. Very interesting read! I didn’t realize the needs for car seats were different.